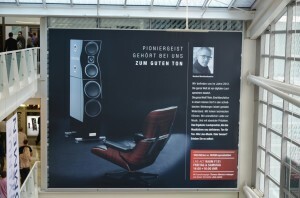 SurrounTec, another German brand new loudspeaker company, has obvious plans of being taken seriously. They had a huge ad overlooking the MOC’s entrance that must have been seen by everyone who entered the building (above photo). 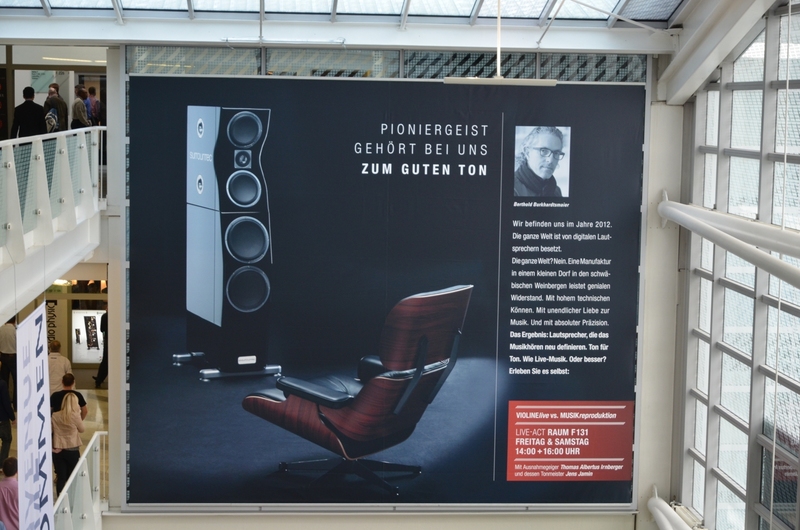 Don’t know much about their loudspeaker besides the fact that this, their top of the line Masterpiece model boasts dual Accuton midrange and woofers, a diamond tweeter and appears upon closer inspection, very well-made. From the little I heard, I found them dynamic and transparent from top to bottom. Needless to say, I was impressed.